Looking for an experienced real estate agent in Cary, Raleigh, Apex, and Holly Springs? 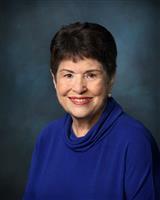 Lillian Smith is a leading Agent/Broker/Property Manager in the Triangle area of North Carolina for over 40 years. She has an extensive knowledge of this area and its many neighborhoods. If you have questions, Lillian has the answers. Give her a call and you will find out why the Triangle trusts Lillian Smith. Lillian Smith Property Management has been the regional expert on real estate investment properties for the past 40 years. Lillian helps investors FIND, RENT & MANAGE real estate investment properties. Call or email us today for expert advice, at 919-469-6528 or reach Lillian Smith directly at 919-612-0018. Email her at ncrebroker@aol.com. Lillian's team is here to help you, contact us today. Whether you are interested in buying, selling, investing, or just want to stay updated on the Cary & the entire Triangle regions real estate market, my site has all the resources and tools you need to help prepare yourself for a great real estate experience here in North Carolina.